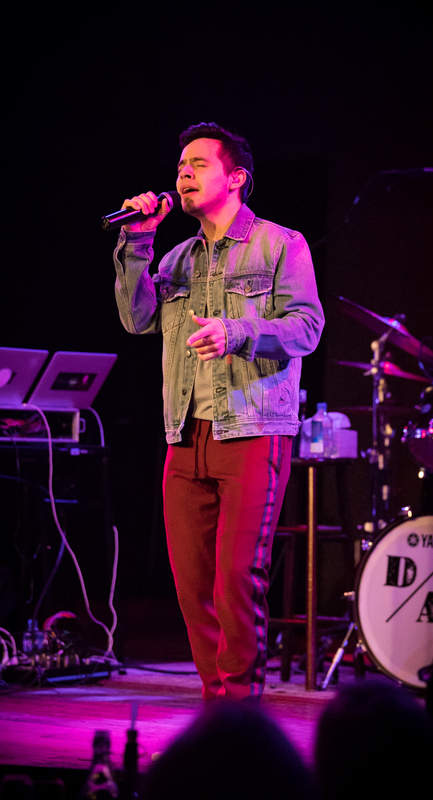 Chicago, IL – His longtime fans will remember him as a finalist on ‘American Idol’ and touring to stadium-sized crowds, but on Tuesday night David Archuleta shined his best out of the spotlight. 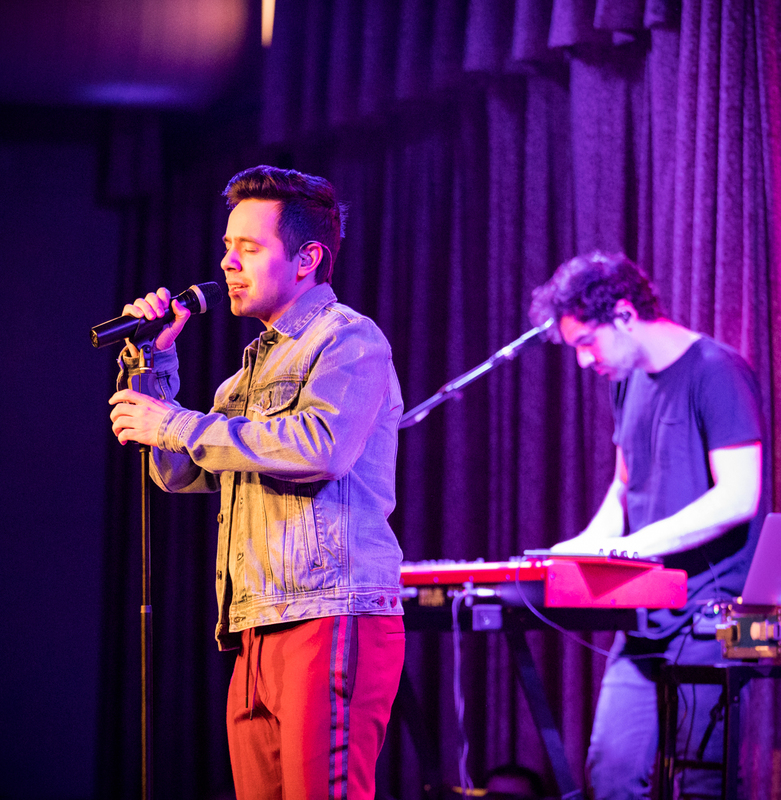 With a sold-out dinner crowd at City Winery Chicago, it was very much like an episode of VH1 Storytellers, as Archuleta explained the background and origin of several songs throughout the evening. 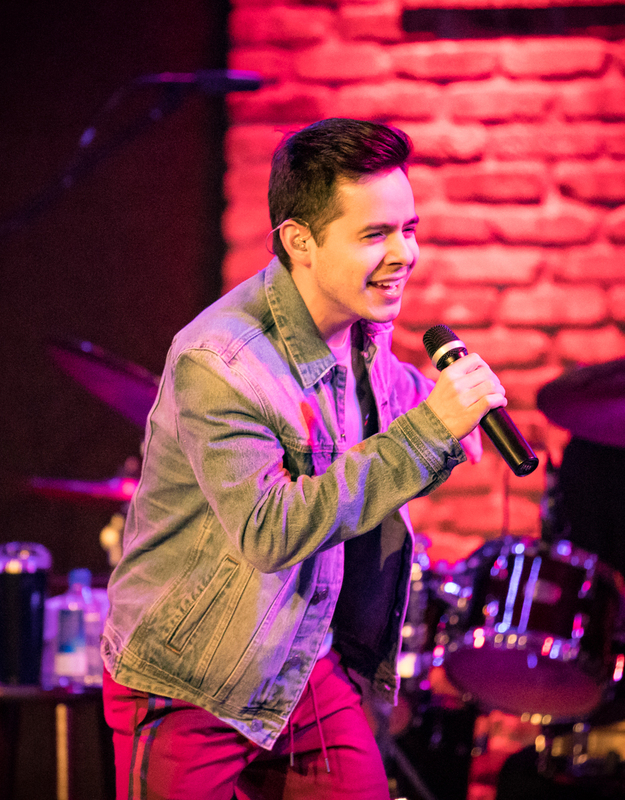 Speaking about the album Postcards in the Sky, Archuleta described his journey through life and how it changed rapidly from his outstanding performance and rise to sudden stardom on ‘American Idol’. After a while he felt like he was really losing focus, so seven years ago he took a 2 year hiatus to go work as a missionary in Chile and refocus his priorities in his life. 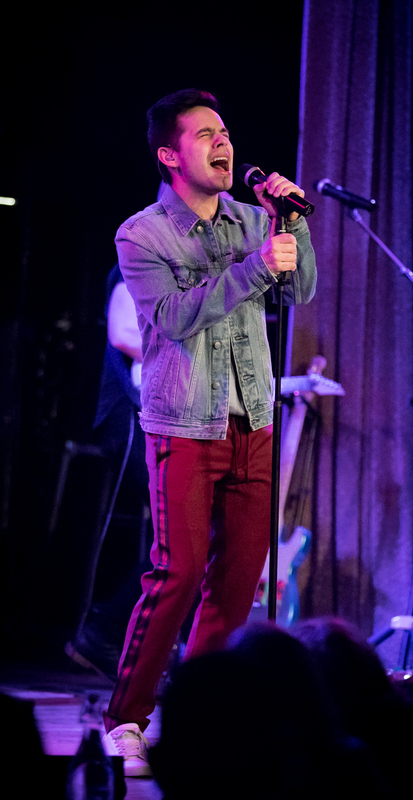 When he returned from his missionary work, he really thought he no longer wanted to perform in music, but his manager talked him into attending a writing session that they had already paid for in Nashville with Trent Dabbs and Jamie Kenney. The outcome from that day was his hit song, “Numb”. 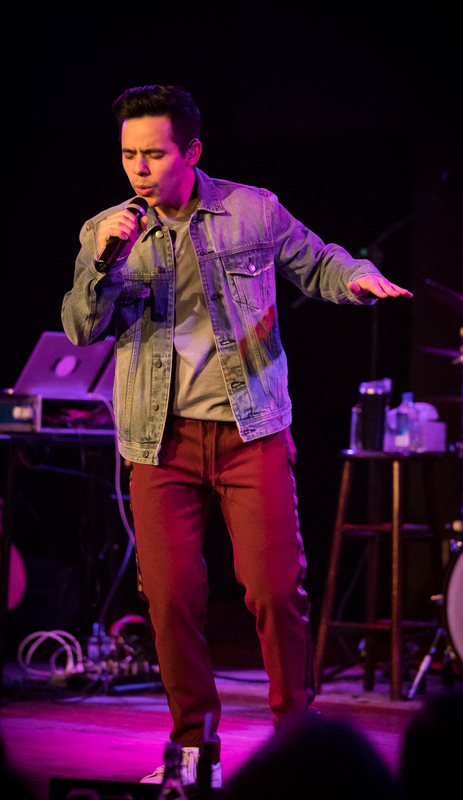 David Archuleta also introduced the song “Postcards in the Sky” by telling people if they ever felt like they were lost or alone, to ask for help. Or to let someone know you love them. Forgiving someone you’re angry with. He went on to explain that this song was written for those people, to help them find the words they need. 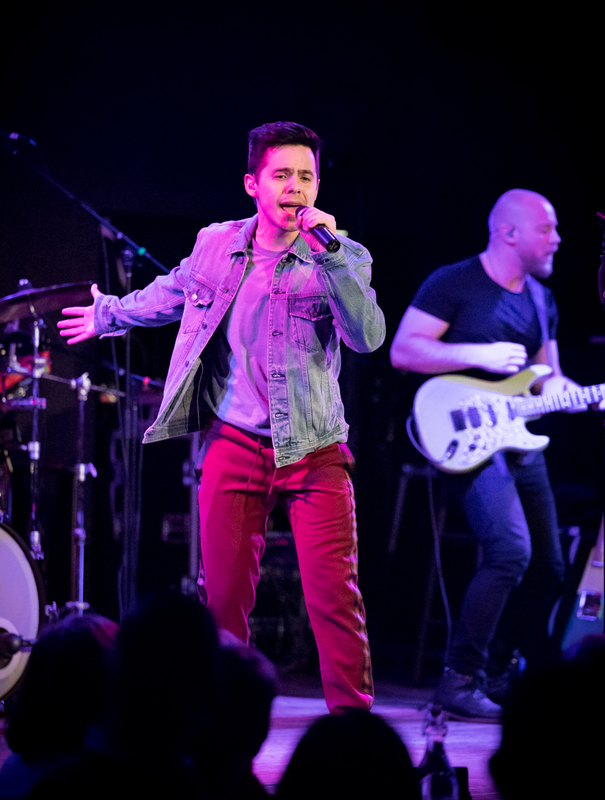 Performing for an hour and a half, Archuleta and his band ran through some crowd favorites and even debuted a brand new song called “Paralyzed”, that the crowd gave a great ovation to when he finished. The song itself is a great pop style number that once recorded and released, is sure to be playing on steady rotation on radio stations. 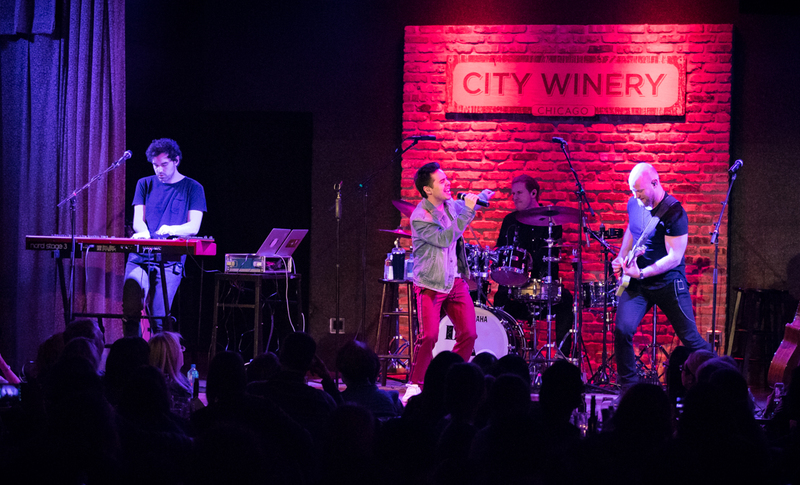 Joined on stage with Dave Brunelle on guitar, Jay Tibbitts on drums and David Maemone on keyboards, the band sounded great and solid all evening. When the band broke in the middle of the set, they pulled a few stools on stage and performed acoustic versions of “The Other Side of Down”, then they ran through the first verse of “Shallow” from the movie A Star is Born, before rolling it into “Happy Now” from music artist Elley Duhé. During the performance of “Shine a Light”, audience members were encouraged to turn on the flashlights on their phones and wave them back and forth. 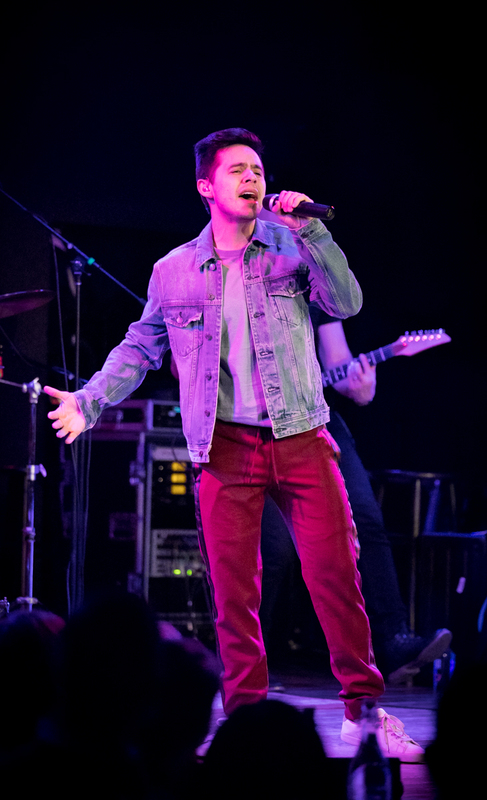 Archuleta later closed out the evening with an encore performance of “Crush”. The sold-out crowd was thanked for coming several times over during the evening. 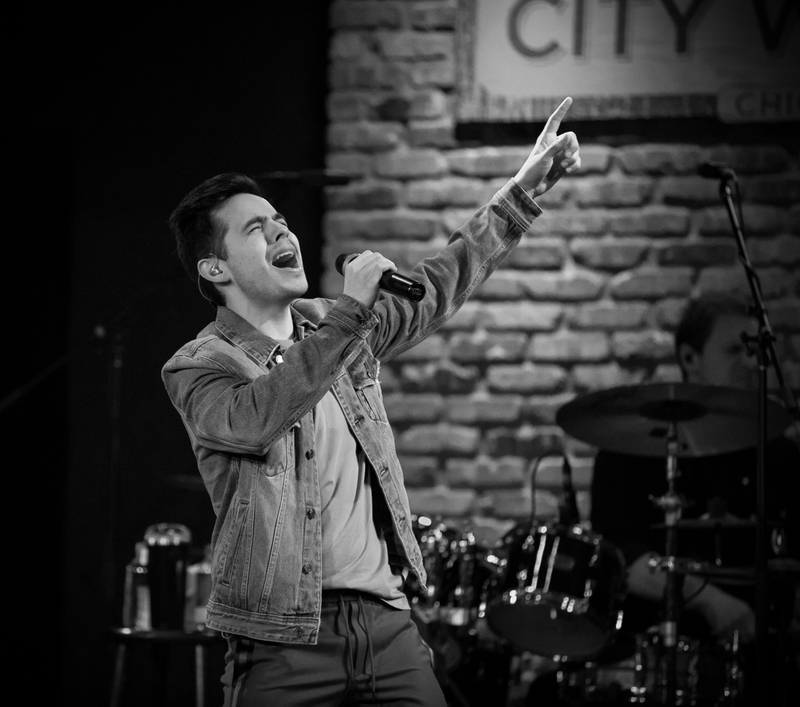 It was easy to see that while David Archuleta may have lost his way at one point in his career, taking time off to work as a missionary certainly has refocused his personal compass, and he seems more energetic and at peace with his stardom and his music, which sits at a more personal level as he uses his own voice to help those people find the words that they’re looking for. Whether it’s for peace, guidance, inspiration, or just to get through the day. 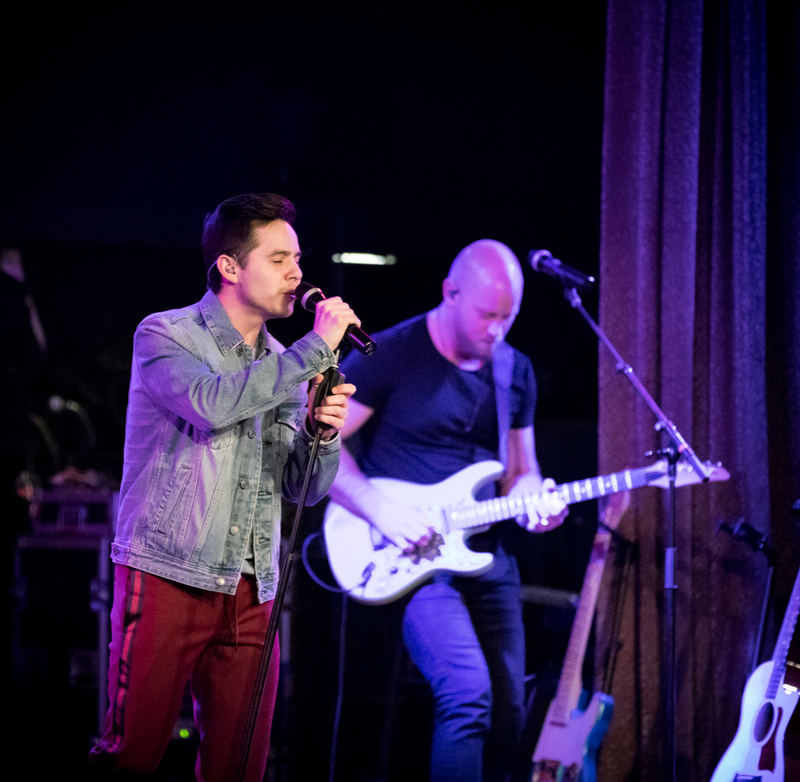 No longer feeling the pressure to be “the guy” and trying to stay on top 24/7, Archuleta is shining brightest just being himself and performing amazing music for his fans, both new and old alike. Born in Scotland, raised in the United States, based in Chicago. Ian Bardecki is a professional photographer, avid motorcyclist, reader, IT geek, gaming and comic book nerd, who was bathed in music at a young age by his mother who constantly played classical piano in their home. While she also introduced him to the Beatles and Elvis, his father forced on him Hank Williams and Johnny Cash, the local paper boy had him listening to Alice Cooper, his uncle then turned him onto KISS and his first 8 track tape, while his friends turned him onto punk music. Today, his music library ranges from Amadeus Mozart to ZZ Ward and everything in between. Hesitantly agreeing to fill in one night to photograph a concert at a local venue in San Francisco for a friend, was where the accidental love and passion for concert photography was born and hasn’t stopped growing since. As a freelance photographer, Ian has had the honor of working with various artists like, John 5, Sick Puppies, Scott Stapp, Drowning Pool, Anti-Flag and Art of Dying, just to name a few. Ian can be found on Instagram and Facebook under Center Stage Pictures. Digital Beat Magazine celebrates & highlights discoveries in the entertainment/music industry. News, Reviews, Interviews & much more.